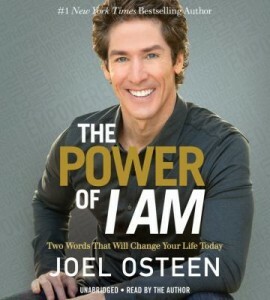 I listened to Joel Osteen’s The Power of I Am on audio. It is a motivational CD that builds up your character and how God is in the center of your being. Want to learn more? Watch Pastor Osteen on Oprah’s Lifeclass. Amidst the hustle and excitement of his world travels, Pico Iyer discovered that “In an age of speed, I began to think, nothing could be more invigorating than going slow. In an age of distraction, nothing can feel more luxurious than paying attention. And in an age of constant movement, nothing is more urgent than sitting still.” You can read this slim book in an afternoon—provided you can sit down and stay put. 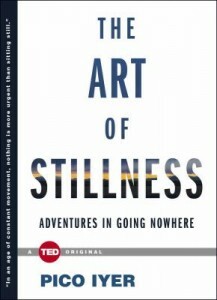 Find a copy of The Art of Stillness today. Unbroken, read by Edward Hermann, is the bestselling story of the life of Louis Zamperini, an Olympic runner who became a bombardier in World War II, was stranded on a life boat adrift in the Pacific Ocean, and eventually captured by the Japanese. Hillenbrand, author of the bestseller Seabiscuit, is a gifted story teller who meticulously details this almost unbelievable ordeal of pain and suffering. Yes, this is truly a book about resilience, and you will find yourself riveted to your seat as you listen to this well narrated, well told, true tale. Laura Hillenbrand, the author of this book and the earlier book Seabiscuit, has written another winner. This book hooks you in from page one. It’s a great story of an American POW held by the Japanese during World War II. I learned a lot from this book, too. By the way, did you know the 70th anniversary of the attack on Pearl Harbor was yesterday? This book is a quick read and is a very gripping, sweet story and true. A 4-year old minister’s son has a near death experience in surgery. In the weeks and months to come, Colson reveals things that make you realize he’s seen God and glimpses of Heaven. Michael Oher, the football player made famous in the movie The Blind Side, writes about his life before, during, and after he met the Tuohy family (featured in the film). He wrote this book for two reasons: first, to separate fact from fiction (since movies often take liberties with the facts to make it more interesting); second, and more importantly, to shine a light on the plight and difficulties faced by over half a million children in foster care, as well as the countless others raised in poverty. He repeatedly mentions his own determination and self-discipline which ultimately led to his success, in order to give hope and encouragement to other children in similar situations. He includes resources at the end of the book for people who want to help children in need. I found this book inspiring and eye-opening. Born in 1917, Louie Zamperini was a precocious child, a prankster, and later a runner. He smashed California track records as a student at USC and raced at the 1936 Berlin Olympics. During World War II, as a bombardier in the Army Air Corps, he flew combat missions in the Pacific Theater. On May 27, 1943, his B-24 crashed into the ocean. Louie and pilot Alan Phillips survived 47 days at sea, only to be captured by the Japanese. Unbroken is the unbelievable story of Louie. The detail is amazing yet not overwhelming. Hillenbrand (author of Seabiscuit) has a wonderful storytelling ability that makes 400 pages fly by. And her story is fascinating in its own right. For over half her life, she has suffered from chronic fatigue syndrome. This Newsweek article provides more about Hillenbrand, her relationship with Louie, and the book. This book is the first in a series by Evans. It explores what happens to a man when he literally loses everything that is precious to him. It gives you a lot to think about. Preview the book before visiting the library and visit the author’s website. As is his usual style, Richard Paul Evans makes you really feel like you know the characters. In this bittersweet tale, a young man tries his best to rescue a girl in her time of need. It hooks you in from the very first page. Watch a video of the author discussing his books and read reviews at Amazon.com.